From engineer to orthopaedic hand surgeon, and now the Chief Medical Officer and co-founder of Micro C Imaging, Dr Gregory Kolovich MD/MPH is the developer of a breakthrough hand-held fluoroscopy device that results in faster imaging during surgery, safer operation including reduced radiation, and increased flexibility. While performing reconstructive hand surgery at Massachusetts General Hospital, Greg became frustrated with the traditional imaging process. 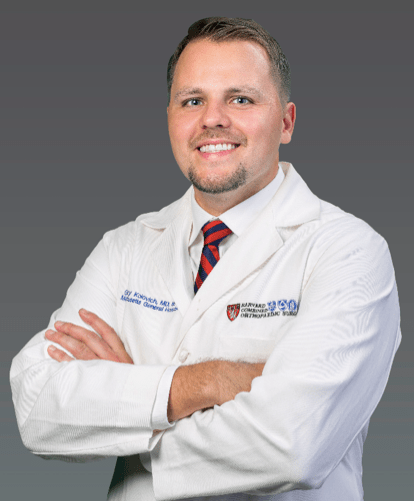 This productivity and capability gap inspired him to design the Micro C. Dr Kolovich continues to practice orthopaedic surgery in Savannah, where he divides his time between his practice and developing his idea further. I’m an engineer by training and in college, we engineered a design but lacked the resources to patent it. The design was later patented and sold by a company for a lot of money so I became disenchanted with the corporate aspects of money and power. I always felt like if you wanted to get something done, you have to do it from the ground up. So, at an early stage I got into medicine and I never really lost that entrepreneurial spirit. Where did the idea for Micro C come from? I did my hand and microsurgery fellowship at Harvard at Massachusetts General Hospital. We have a tonne of autonomy and you’re often operating at night, and often by yourself. That was exciting for me because I was a fellow and I wanted to do anything I could. When you’re operating by yourself in the middle of the night you’re often short on hands, and efficiency is paramount in emergencies. At the time we were using a 400-pound cumbersome C-arm x-ray machine that you had to lug into the operating suite. My engineering background told me that there was something not right about this. We’ve miniaturised cell phones and miniaturised so many other things so why can’t we miniaturise X-rays? This was the beginning of Micro C.
We’ve miniaturised cell phones and miniaturised so many other things so why can’t we miniaturise X-rays? How did you end up developing Micro C? After I had the idea I reread my own electrical engineering books and realised there really hadn’t been a lot of innovation in the X-ray tube design in 60 years. I contacted a lot of my engineering buddies down in Atlanta and got together a really smart team. Evan Ruff is our CEO and he leads our engineers. I pitched the idea to him. We thought about it for a month or two, ran the numbers on our novel design, and it turned out that it was physically possible. Once I knew that we had an idea here, then it became a question of how do we build it? I’m a doctor. I did not go to business school, so I basically had to do the grass roots thing. You already have different investors on board, how did you go about achieving that funding? What’s been the biggest challenge in getting it off the ground? Ultimately when you have an idea – your friends, your family and other people who “get” your idea invest in you initially. You have to have start-up money, so I’m really grateful to the initial people who believed in me. Basically, a quarter of a million dollars was raised in my name and that allowed us to have the initial funds to make prototypes. This money came to us because people knew us and we were able to pitch the idea. It was about going to start-up events and getting people involved and getting the idea out. The elevator pitch was what I did for almost 2 months. After that, once we got the idea off the ground and people saw that we had a real project and a prototype, then doctors got it and my phone started blowing up, my LinkedIn started blowing up. Soon you find yourself in a meeting in Atlanta with a major investor who wants to invest a million dollars. It just really kicks off. I liken it to bamboo. You water it for ages and nothing happens but then suddenly it kicks off and grows quickly. All of sudden we have greater responsibility, greater accountability and greater demand, so it drives us to do even more. I liken it to bamboo. You water it for ages and nothing happens but then suddenly it kicks off and grows quickly. What are the next steps for Micro C? One of the most fascinating aspects of our technology is that it could become not only the pinnacle for hand surgery but also the pinnacle for orthopaedic surgery. We’re submitting an NIH grant application to do a global health study and we’re planning to take our handheld x-ray on a world tour next year. We’ve engaged an experienced grant writer who’s secured NIH grants, to write a home health grant for us, to arm nurses and nurse practitioners with our portable emitter to diagnose patients during home health visits. The clinical scenario for that would be to diagnose patients who fall at home: the average cost of an ER visit in the United States is $2100. What we’re trying to do is deploy our home healthcare nurses to go to the home, shoot the x-ray, ping me instantly with the images and I can triage that patient accordingly. In many ways it does two things, it triages patients, keeps you from going to the Emergency Room unnecessarily and it makes the patient and surgeon happy while avoiding costly hospital expenses. It provides a nice triage service for patients in the outpatient setting and also it allows surgeons to grow their business. Do you see it as a tool for reducing unnecessary ER referrals or do you see it more as an adjunct to an orthopaedic surgeon’s expertise? I see it being both. Our goal was to be the pinnacle for resolute, clear, safe, fast and efficient imaging in the operating room. We’ve done that. Now we want to expand the technology out of the OR. I never initially developed this to be for outpatients or for global health. But the portability and the ergonomics of it make it absolutely suitable for those fields. The technology is incredibly versatile. We believe that we can branch out into various fields. We are trying to arm a physician with more capabilities, especially if they’re in a rural area. The ideas keep churning as we build up and move through the process. Our goal was to be the pinnacle for resolute, clear, safe, fast and efficient imaging in the operating room. We’ve done that. Now we want to expand the technology out of the OR. How do you balance your job as a full-time surgeon and working on Micro C at the same time? It’s all about networking. One of my mentors helped bring the idea to an accelerator programme. I was told – you’re never going to be doing any of this. They’re always going to be people smarter, faster and younger with more time on their hands to do these. You’re going to be organising and pulling the strings, the true leader of the group. Therefore, you have to learn how to network with people and how to organise people. As I developed my design I tried to hit on all those high points. Then once I’d finished customer discovery I read a book about building a business plan and stuck to that. It’s a grind. Sometimes I’d wake up at 4:00 am with an idea and go to my office and just grind out ideas. It’s constantly writing emails, making phone calls, whenever that might be. It’s a grind. Sometimes I’d wake up at 4:00 am with an idea and go to my office and just grind out ideas. It’s constantly writing emails, making phone calls, whenever that might be. What advice would you give to doctors who want to do something entrepreneurial? Customer Discovery has to be the most important thing. Even before sketching CAD designs or working in the lab, you have to do your customer discovery first to see if your idea has any legs at all. Also building up a huge network is great because you get to tap into a world of knowledge and markets. There are about 2,000 hand surgeons in the U.S. and over 28,000 orthopaedic surgeons, so once you can get an idea out to a few of them it spreads rapidly. Would you recommend the entrepreneurial life to other medics? then you should try to get it out because being your own boss is amazing. If you have an idea, then you should try to get it out because being your own boss is amazing. Aniket is a final year medical student at the University of Birmingham with an intercalated BSc in Healthcare Management. He has a keen interest in Quality Improvement and Innovation in healthcare. In his spare time, he enjoys trading on the stock market and playing sports such as golf and badminton.